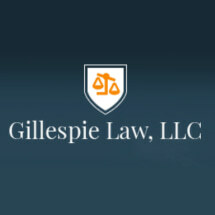 Gillespie Law, LLC is here to meet all of your legal needs. We pride ourselves on providing legal services of the highest quality in a fair, prompt, and efficient manner. We focus on client representation, where the needs of our clients are of the utmost importance. We understand confronting legal issues or being in the midst of a legal matter can be very stressful. With our representation, we will go through the process with you and you will know and understand what is happening every step of the way. We are here to help you through the process in the most efficient manner and to hopefully make things easier on you and your life. Our law firm represents clients throughout Central Ohio, including but not limited to: Franklin, Delaware, Union, Madison, Licking, Fairfield, Pickaway, Marysville, Dublin, Worthington, Hilliard, Olentangy, New Albany, Westerville, Newark, Powell, Columbus, and Lancaster. Please contact us for a consultation so we can figure out what is the best legal route for you and your unique situation. You can find our phone numbers and email address on our contact page. We look forward to working with you.